This looks way fancier than it actually is – the key is to have a circle mold, or just to use a measuring cup in a pinch. You can have this for an app or make them bigger and have it for a full meal. It’s completely delicious and really healthy for you, too. 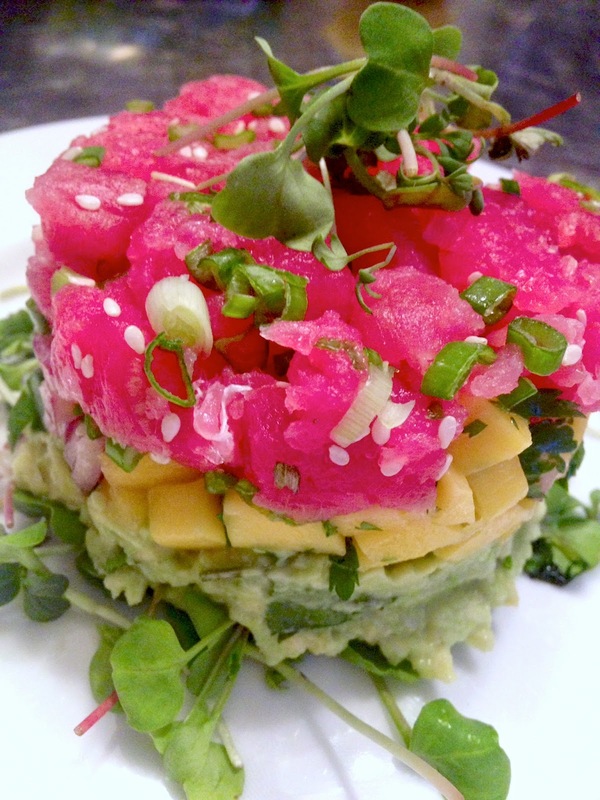 Serve this over some micro-greens and watch people freak out at how pretty it is. 1. Assemble the simple mango salsa and the guacamole in 2 separate bowls. 2. Dice the tuna – if you throw it in the freezer for 15 minutes or so it’ll be easier to cut. 3. Combine tuna with scallions and sesame seeds in a third small bowl. 4. Put some micro-greens on a little plate. 5. 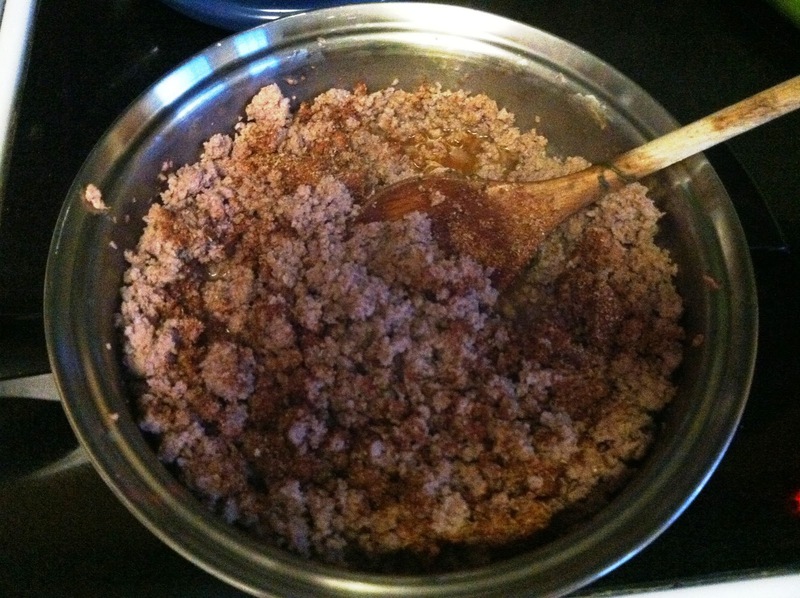 In either a circular mold or a measuring cup, add a layer of tuna, then salsa, then guacamole. Flip it upside down carefully but quickly on a plate. 6. Remove the mold and top with a couple little micro-greens. Enjoy! 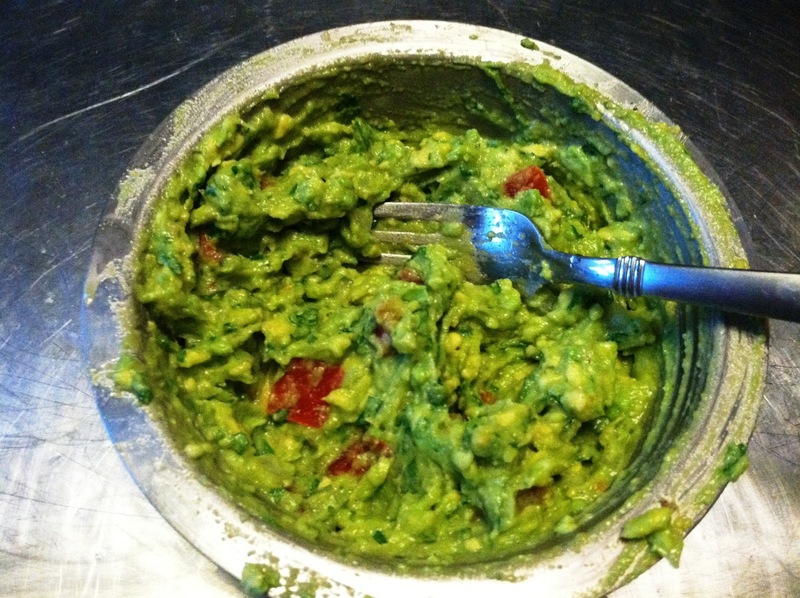 This entry was posted in guacamole, impressive, salsa, simple, tuna on April 12, 2014 by westyn. So we’ve talked about my avocado obsession, right? I could eat them all day long. Not only are they delicious, but they’re so good for you, and there are a million articles about how they promote heart health, blood sugar regulation, even anti-cancer benefits! Also, according to this site, the avocado is “colloquially known as the Alligator Pear, reflecting its shape and the leather-like appearance of its skin.”, which totally makes sense. Ha. The Alligator Pear. 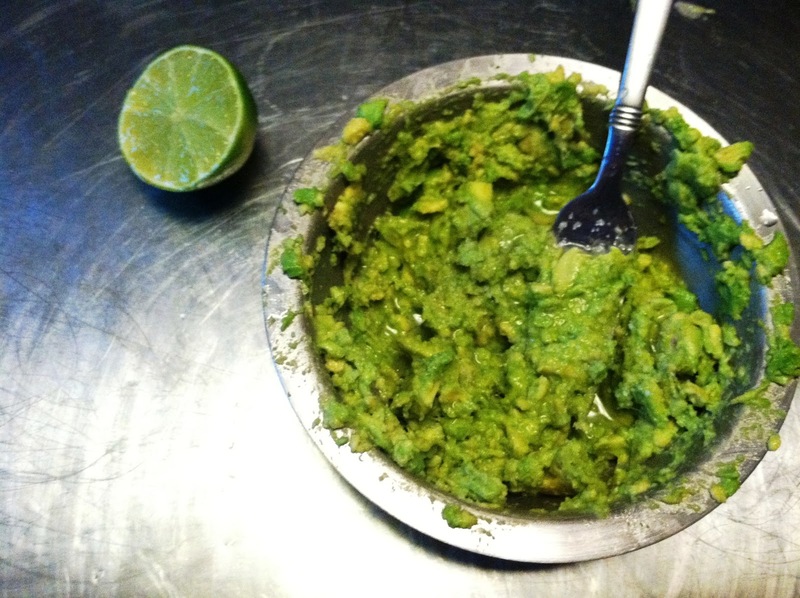 Anyway, this guacamole recipe is super easy and perfect with Pretzel Crisps, which we should basically buy stock in at this point, because we go through so many of them on a weekly basis. 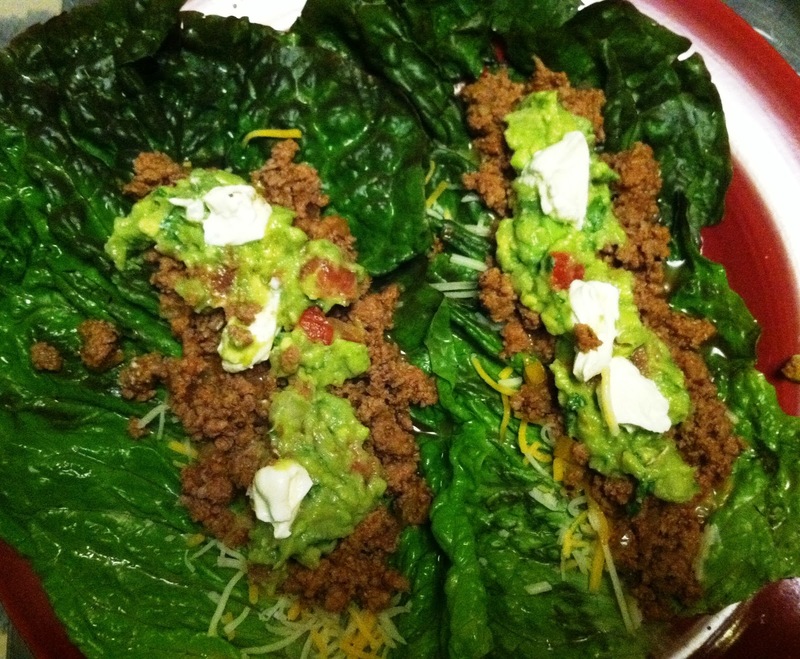 It’s also a great topper for turkey tacos, which are up next. 1. 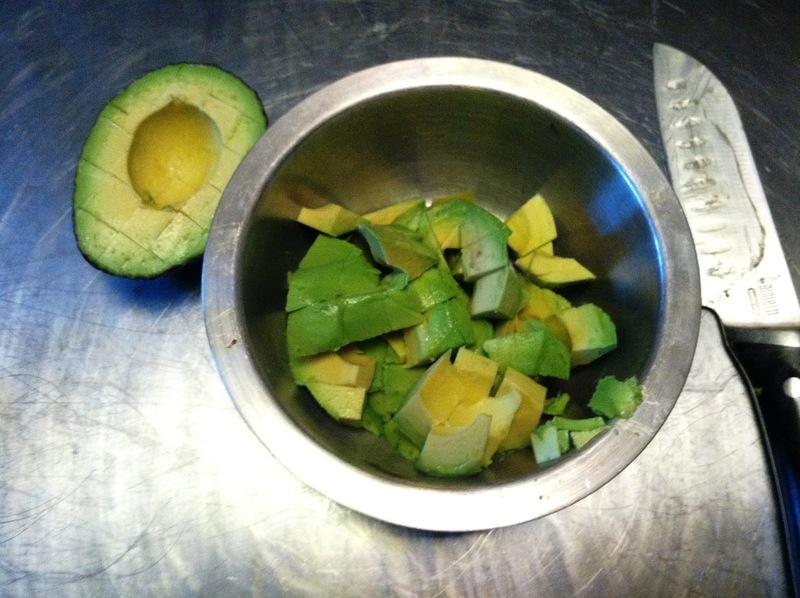 Peel and dice the avocados. I’ve found that an easy way to do this is right in the avocado half itself (see the dice in the avocado half in the picture above?). 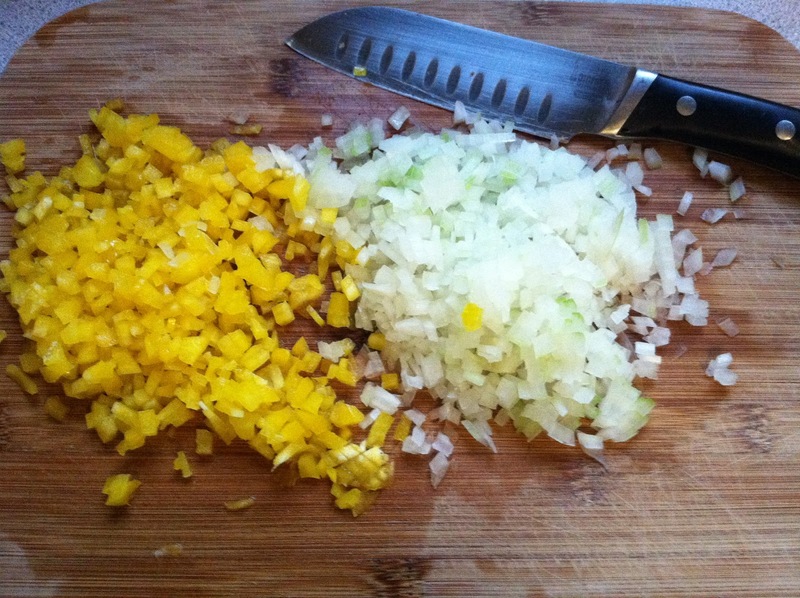 Then just run a knife around the edge and the diced pieces should kind of just squeeze out into the bowl. Mash this gently with a fork. As you add the other ingredients, the avocado will continue to get smoother, so it depends on how chunky you like your guac. 2. Add the lime juice (this will also prevent the avocado from browning) and the kosher salt, so the salt can kind of blend with the acid in the lime juice. 3. 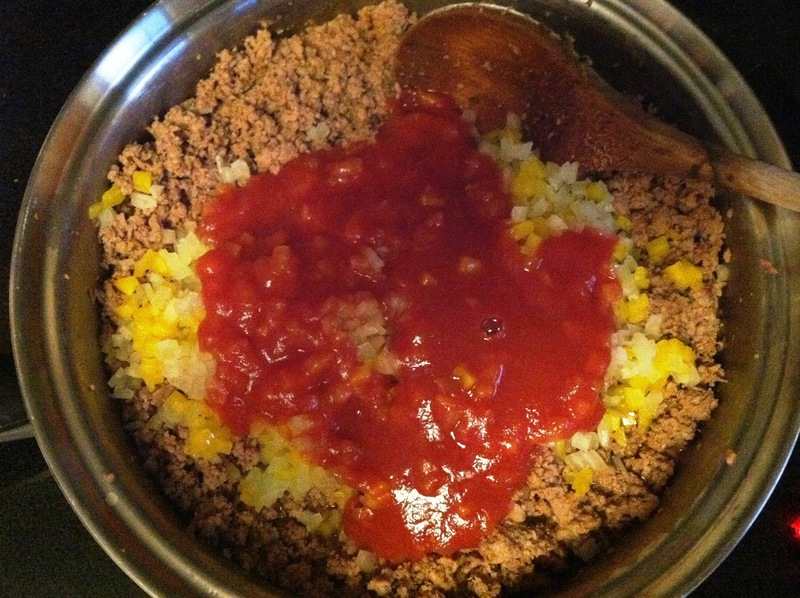 Add the diced tomato and onion (try to make these pieces the same size) and cilantro, mix everything together. 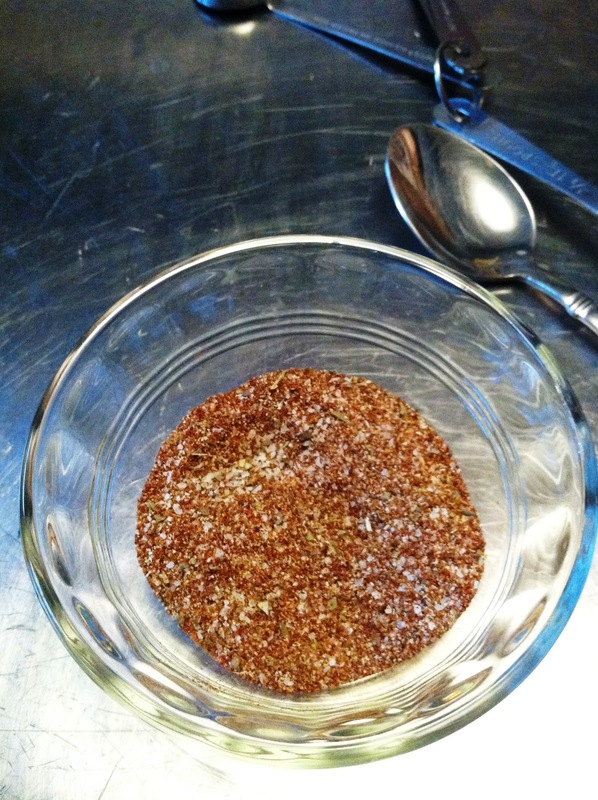 Adjust seasonings and enjoy! 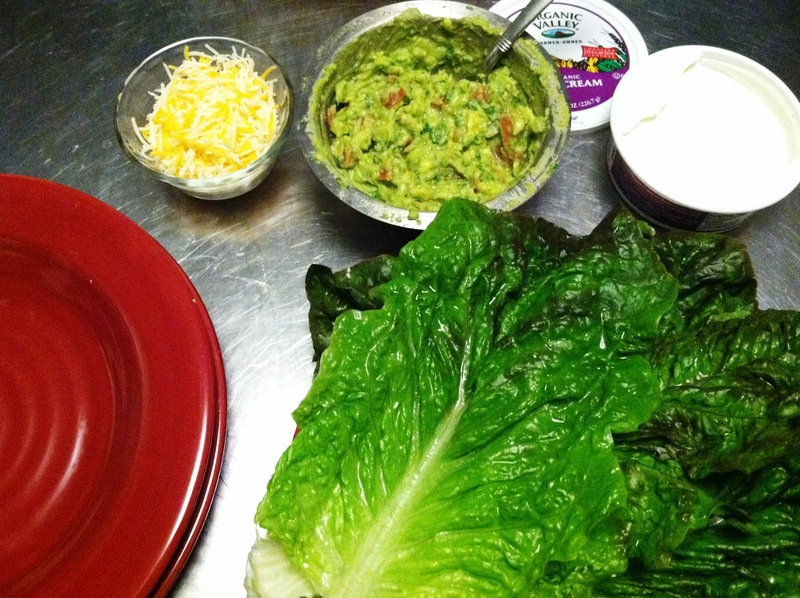 This entry was posted in appetizers, cilantro, gluten-free, guacamole, lime juice, mexican food, paleo, sides, vegetarian on September 17, 2012 by westyn.